After a short shift at work on Monday night. 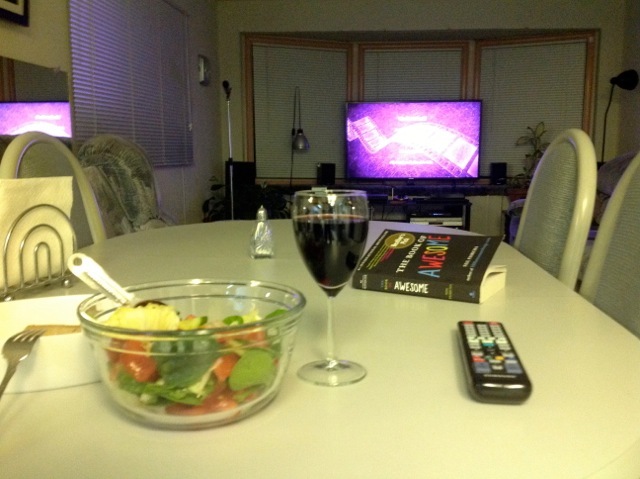 Movie, Wine and salad. Mmmm good.